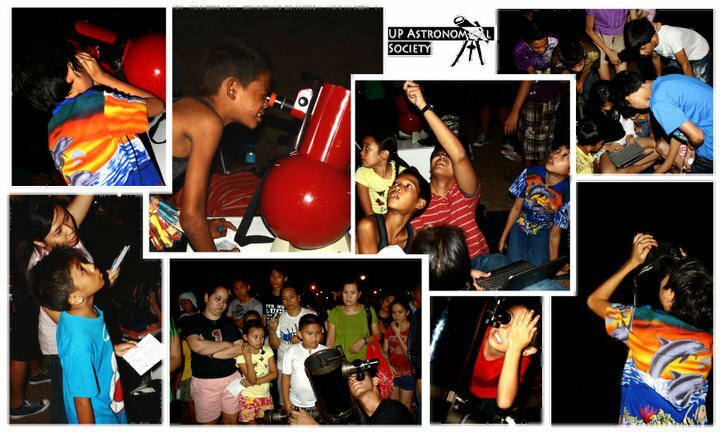 The UP Astronomical Society (UP AstroSoc) are raising funds for its upcoming projects. 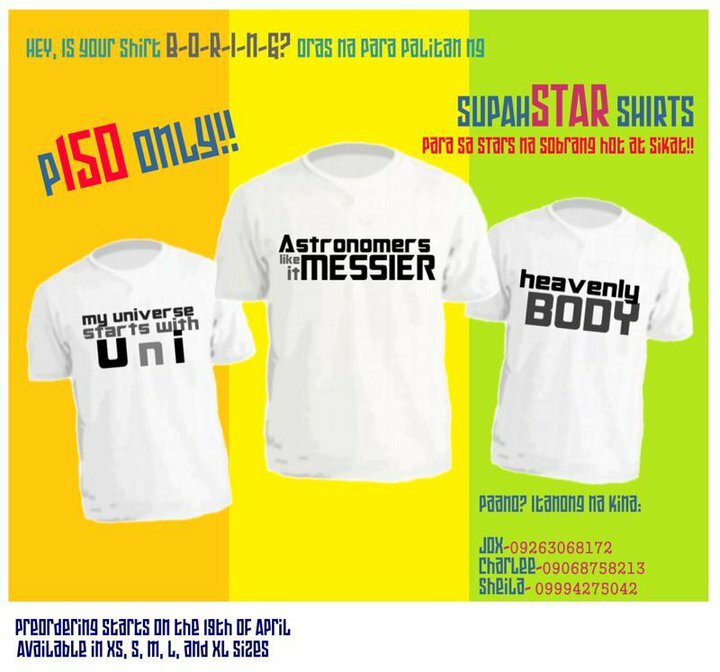 For only 150php, you can already have a cool astro shirt just like the ones below. You may choose from these 3 different designs. There several shirt sizes available. 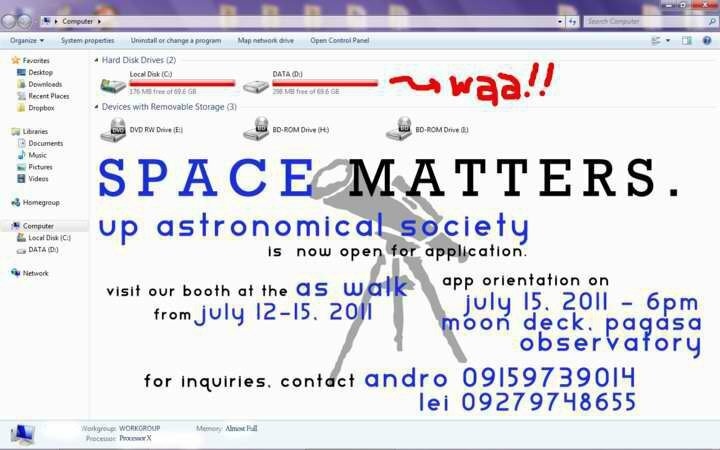 To place your order, please contact the numbers indicated in the publicity poster, or visit UP AstroSoc’s Facebook Fanpage. 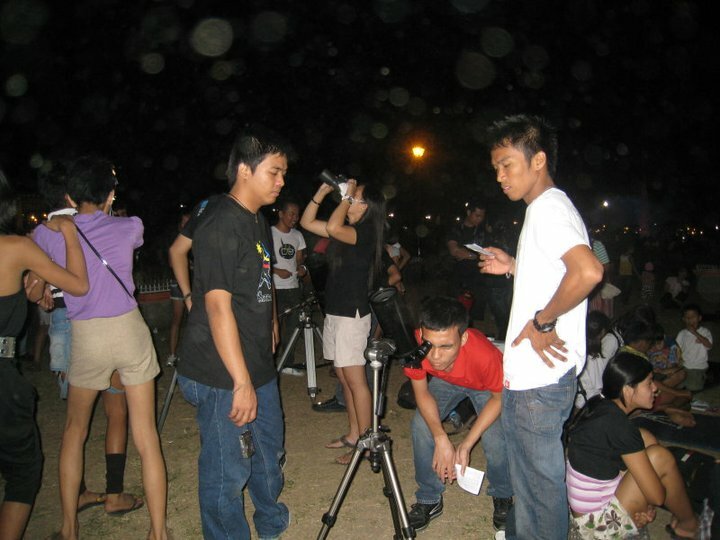 Learn more about astronomy and meet fellow astronomy enthusiasts! 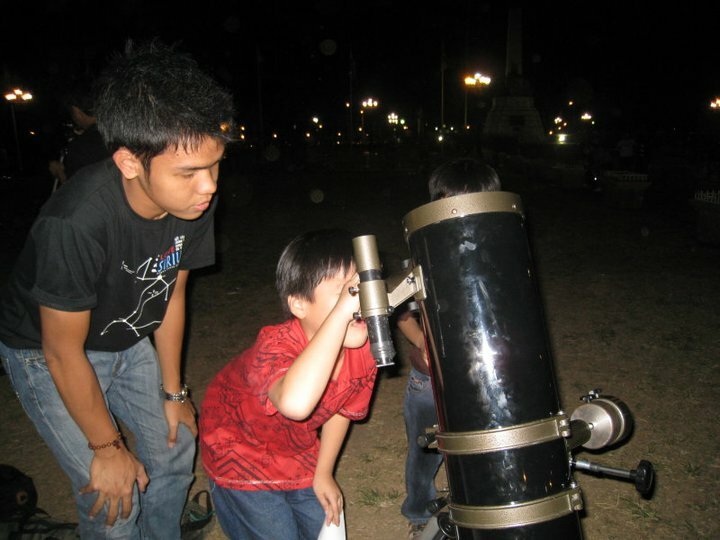 The University of the Philippines Astronomical Society is now open for application this Summer 2011. 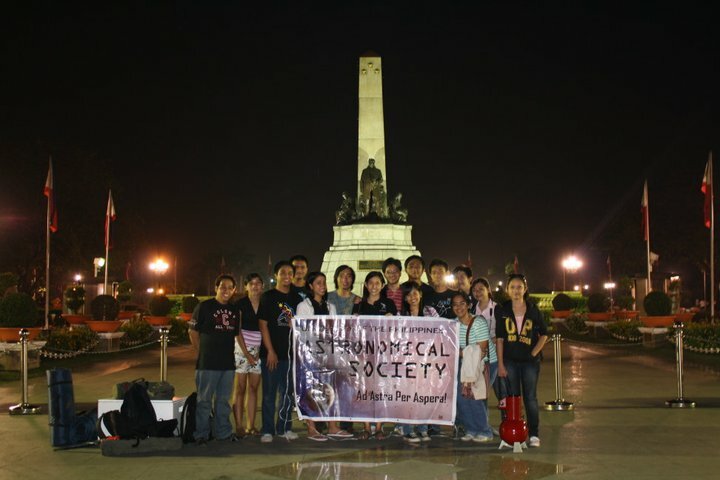 Currently enrolled UP Diliman students are invited to join us in our mission to promote astronomy. 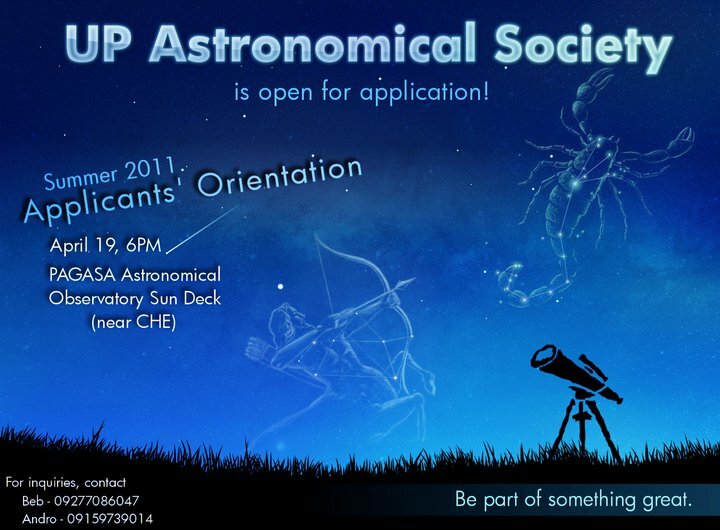 Follow UP AstroSoc on Twitter and/or like UP AstroSoc’s Facebook Fanpage to get updates.